Our 56-page easy to read ebook will help you successfully manage and navigate the college admissions process. 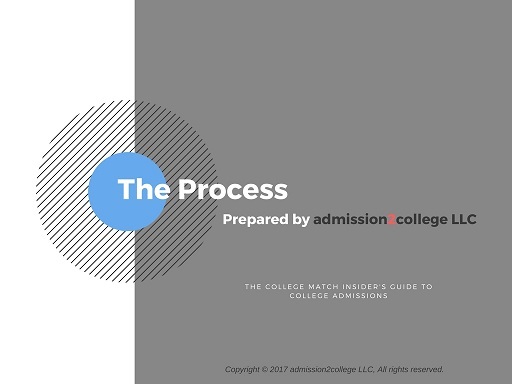 Written by our college admission experts The Process takes you step by step through the college planning, search and application process with helpful and insightful advice and inside tips that can only come from years of experience in college admission offices. Not only will you know how the college admission process works, but you will know what college admissions officers are looking for in an applicant, the best way to identify and build a best-fit college list, how to write compelling college essays that stand out and how financial aid and merit scholarships awards work. Build your list of best fit colleges and see your chances of admission to schools you select by using not only your GPA and test scores as virtually every high school college counselor and guidebook does. 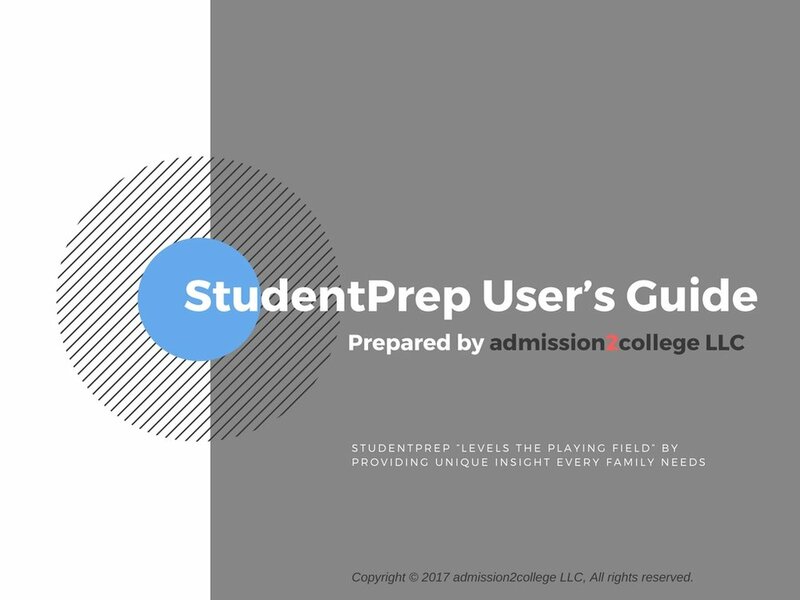 Instead, with StudentPrep you use the same 12 admission variables as college admission offices use to evaluate your application and make their admission decisions. Learn more about StudentPrep here. For parents, by entering your financial information StudentPrep calculates a realistic estimate of what a college will actually cost you. Boost your test scores or practice taking the SAT or ACT. Have unlimited access to our online, self-paced video based SAT & ACT test prep courses provide by ePrep and included in your StudentPrep software. Learn more about our SAT & ACT self-pace test-prep courses here. Included in your purchase is 1-30 minute one-on-one consultation and 1 college essay critique with comments. Additional 1 hour counseling sessions available at $75 pre-hour (our regular rate is $100 per hour). Additional essay review and editing at $75 per hour. Receive 25% off our Essay Review packages when you enroll in the College Match Advantage Program. Review our tips on writing an outstanding college essays here.